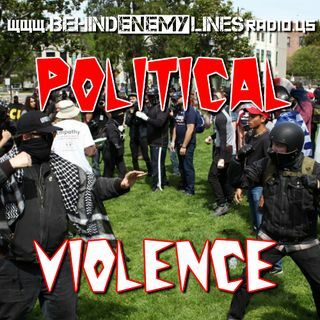 Behind Enemy Lines Radio takes a deep dive into the spike in politically-motivated violence - and we're not afraid to go straight to the source! Gene sits down with Pawl Bazile, a sort-of spokesperson for the controversial organization known as the Proud Boys. Who are they? What do they stand for? Why are they always around when political violence breaks out. We ask that and more. All that, plus Gene Berardelli offers up some of his own theories - like maybe Hillary Clinton is to blame? ... See More Listen without prejudice, keep an open mind, think for yourself and draw your own conclusions!